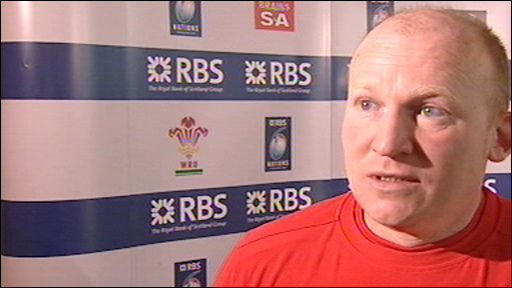 Martyn Williams will break the Welsh record for Five and Six Nations championship appearances when he faces France in Paris on Friday night. The Cardiff Blues flanker will overtake the mark of 45 set by Wales scrum-half legend Gareth Edwards. Edwards says that Williams is a fine successor to his tournament record. "He is a great ambassador for the game in Wales and nothing would please me more than to see him score a try in Paris on Friday night," Edwards said. "That would be the perfect way in which to crown his record-breaking appearance. "I had no idea that I held the record, but I can't think of a better player to improve the number of games I played for Wales in the championship. "Martyn has been a great example of the modern game and been the ultimate professional. "He is playing as well as I think I have ever seen him play and the important thing is that I believe he can go on for many, many more games in a Welsh jersey. "I know that is [Wales coach] Warren Gatland's intention for him and it was just as well for Wales that Warren managed to convince Martyn not to hang up his international boots after the 2007 Rugby World Cup." Edwards will present Williams with a special commemorative Wales replica shirt to mark the occasion, one that carries the number 46 on the back instead of the flanker's traditional number seven. 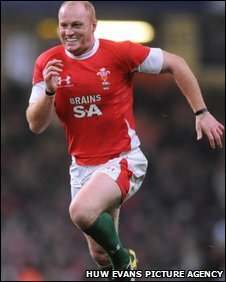 Williams, 33, will win his 87th Wales cap overall at the Stade de France. The Pontypridd product retired from Test rugby in 2007 but was coaxed back into a Wales shirt in January 2008 by Gatland in time for their Grand Slam campaign. Williams has again been a key performer as Wales began their Six Nations title defence with wins away to Scotland and home to England.